Sold as 16 UNITS at $2.63 per unit. (1 unit = each.) Extra fine flakes. Perfect for use in village scenes, on Christmas trees or any holiday decorating. 5 quart bag . Manufacturer number: CB2244. SKU #: 9577370. Country of origin: (TBA). 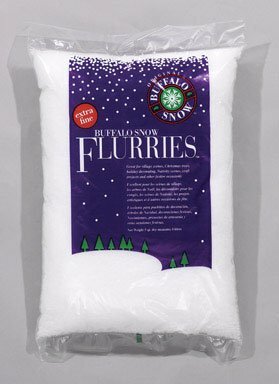 Distributed by Buffalo Batt & Felt. If you have any questions about this product by BUFFALO BATT & FELT, contact us by completing and submitting the form below. If you are looking for a specif part number, please include it with your message.